In 2016, Cem Özatalay, a professor of sociology at Galatasaray University in Istanbul, added his name to a petition condemning state violence against the Kurds in Turkey’s southeastern region. For Özatalay, the government’s actions, which have led to the deaths and injuries of scores of Kurdish civilians, demanded a strong response. He was not alone in his thinking: more than 1,200 academics and researchers from across Turkey joined in signing the petition. The response from the Turkish government, which has become increasingly authoritarian under President Recep Tayyip Erdoğan, was swift and severe: It charged the signees with “spreading terrorist propaganda” and declared that they would be tried in court. As the trials in December 2017 neared, Özatalay and the approximately 1,400 academics and researchers who signed the petition (200 more had joined their ranks after the government announced its charges) stood their ground. Maintaining that stance could mean time behind bars, but also time away from the research and teaching that is Özatalay’s passion and livelihood. A leading voice on the economic sociology of capitalism in Turkey, he was confronted with a difficult choice: stay in his home country and risk going to jail, or temporarily relocate to the United States where he could finish his research. After discussing the idea with his wife, who months earlier had given birth to their first child, Özatalay decided to explore the possibility of leaving Turkey to come to the United States. He eventually accepted an invitation from The New School to continue his research at the progressive Greenwich Village University and become a scholar in The New University in Exile Consortium (The New UIE Consortium). With The New School serving as the administrative base, The New UIE Consortium is a growing group of 11 universities and colleges from across the country — Barnard College, Brown University, Columbia University, Connecticut College, Georgetown University, George Mason University, Rutgers University-Newark, Trinity College, Wayne State University, and Wellesley College — that share a common mission and are joining forces to provide space and resources to support endangered scholars from around the world. The New UIE Consortium forms at a time of tightening U.S. immigration policies and threats to academic freedom everywhere from Turkey to Syria to Iran and beyond. 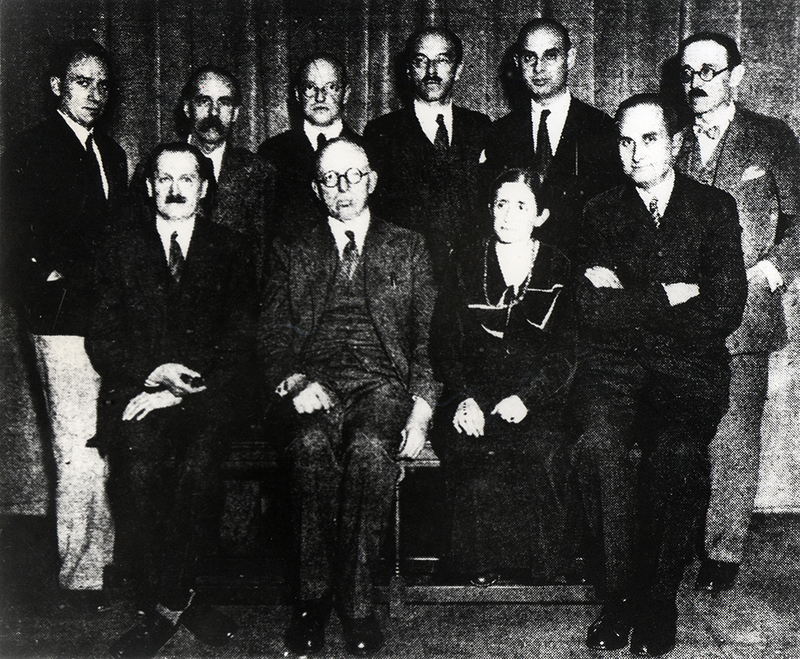 The New UIE Consortium springs from The New School’s history and mission — namely, the first University in Exile (UIE), founded by The New School for Social Research in 1933. Created as Hitler was rising to power — a period in which Jews and those deemed politically hostile were purged from German universities — the original UIE provided a safe haven for scholars whose careers and lives were being threatened by the Nazis. It stood as a bulwark against brutal policies that undermined the independence of thought and research upon and for which universities are founded. In Turkey, that need is particularly acute. Ever since the attempted military coup against the Turkish government in 2016, Erdoğan has moved to bring universities under his political control, breaking up institutions, censoring ideas, and purging hundreds of academics. While Özatalay currently has his job, he can’t say for how long. Thanks to The New School and the Institute of International Education Scholar Rescue Fund, which is making his stay in New York City possible, he will continue to pursue his research on “the transformations and diversification of workers’ consciousness in neoliberal Turkey.” In addition, Özatalay will benefit from an intellectual community of refugee scholars, fostered by The New School, which will plan joint programming with other New UIE Consortium institutions. In The New School, Özatalay has found an ideal home — a university where academic freedom is protected, independent thought is encouraged, and endangered scholars from across the world have found a safe haven. The New UIE Consortium launches with an event at The New School on Thursday, September 6, 6-7:30 p.m. It will feature a discussion between David Miliband, president and CEO of the International Rescue Committee and former foreign secretary of the United Kingdom, and Kati Marton, a Hungarian-American author and journalist and award-winning former NPR and ABC News correspondent. Some comments will also be made by currently hosted endangered scholars from member institutions.